As we all know cars are a huge investment and most of us want to do as much as we can to protect that investment. Some of the simple steps to protecting your investment and extending the life of your car are checking and topping off all fluids; changing the oil of your car on a regular basis and taking your car to a well-respected mechanic for scheduled maintenance. But you already know that. What most people do not realize is that keeping the interior of your car clean is also a very important task if you want to maintain the value of your vehicle. It is understood that in our busy lives some of us just do not have time to detail their cars nor do they have the funds to pay for professional detailing. There are though a few simple jobs anyone could perform that would take anywhere from 5 minutes to half an hour depending on how dirty your car is and how clean you want it to be. If you’ve been neglecting your car, take a look at our range of car cleaning products to give it back its sparkle. It is best to buy a Shop Vac or something similar on wheels so that you can move around quickly. These are relatively inexpensive. Start off by using the crevice nozzle for the floors and carpets. Remove the front floor mats and start vacuuming the carpets. Move you seats as far back as you can so you get as much room as possible. Make sure you get up under the seats, in the cracks and in between the seats. When you are finished with the front move your seat as far up as you can and remove the rear floor mats. Repeat the above steps for the back seats. For seats use the brush nozzle. This will allow you to get to the cracks and crevices on the seats without damaging the interior. Soak your clean towel in water. Then wring it out until it is damp, initially you do not need to use any cleaners. Wipe down the door panels, the dashboard and seats. Using the damp towel without cleaners will not damage your interior. Make sure you get the shift nobs, the steering wheel everything you can wipe. You will get up 99% of the dust and dirt simply with this damp towel. After you are finished you can go back and add some cleaner to get some of those tough spots. Make sure that the cleaners you use will not damage your interior. Some cleaners will damage your interior causing it to crack and tear. Know more to follow these simple steps and you are well on your way. Of course there is much more you could do, it all depends on how much time you have and how clean you want your car to be. The next step would be to detail your interior, using certain detergents and cleaners. 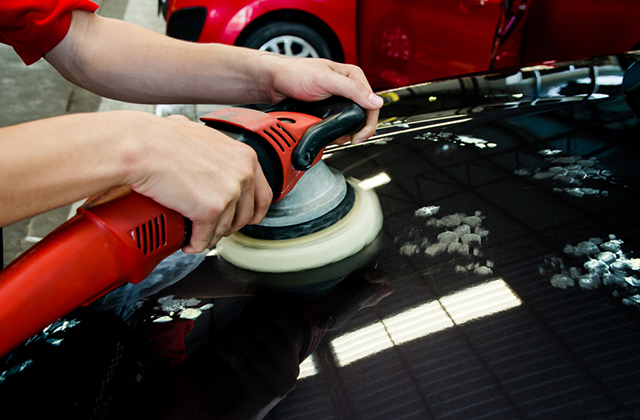 Cleaning your interior is not the only important task to keeping your car clean. Once you are finished cleaning and detailing your car’s interior it is ready to be washed. It make take some patience to get your car just the way you like it, some people take hours on their cars, start off by following these simple steps to keep your interior and carpets clean and as time permits you can do bigger jobs such as waxing and shining. Just make sure that you do give attention to your car’s interior so you can keeping it looking great for years to come while maintaining your automobile’s value. Raymond Perez writes about Car Maintenance at Car Care Coach.